Instagram and Mental Health: Does Instagram Trigger Depression? Although it has been known for some time that heavy use of social media sites like Facebook are linked to depression, a more recent study has found that Instagram is now considered the worst offender. Instagram is a popular photo and video sharing app with more than 700 million users worldwide and a substantial younger demographic. A study in the U.K. by the Royal Society of Public Health found that out of all the major social media platforms, Instagram is actually the most likely to cause young people to feel depressed, anxious and lonely. At a close second was Snapchat, an app that allows people to share temporary photos and videos that disappear after being viewed, followed by Facebook, Twitter and YouTube respectively. The survey involved almost 1,500 young British people aged 14 to 24 who use social media apps. 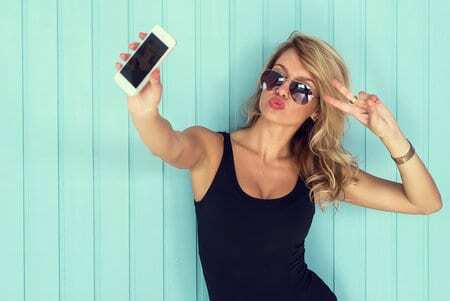 The results of the study revealed that young people are more likely to associate Instagram with negative feelings, such as low self-esteem and poor body image. Snapchat was most likely to leave people feeling left out and bullied by their peers. The conductors of the study found it interesting that the two apps most likely to cause depression were image-based. The focus on “selfies” and the visual aspects of Instagram and Snapchat seem to be causing feelings of inadequacy and anxiety in young people. Following this news, Instagram asserted that the company is making its best efforts to keep the app a safe and supportive place where people feel comfortable. They are also working with mental health experts to to enhance the app to provide support for people struggling with depression. Instagram hopes to provide tools and information so that people can report content or get help and advice if they have an issue. Studies in the past have found that the more time a person spends using social media, the more likely they are to feel depressed. When compared with people that used sites like Facebook less frequently, more heavy users of social media had 2.7 times the likelihood of depression. Another finding was that the people who used more platforms than others (7 to 11 platforms) had more than three times the risk of depression and anxiety than those who used the least amount (0 to 2). One of the problems that was discovered with social media in general is that it exposes people to idealized representations of their peers which can elicit feelings of envy and the belief that others have happier, more successful lives. Using more than a few apps at a time causes people to feel anxiety about keeping up with the rules and culture of each one. Multitasking can also lead to poorer attention, cognition and mood. Another major issue with social media is the potential for young people to be exposed to cyber-bullying which can greatly exacerbate feelings of depression. Past studies have revealed that more negative experiences overall have the greatest impact on the risk of depression from using social media. Negative experiences are common on sites like Facebook where 80 percent of people have had at least one bad interaction. Young people often experience bullying or unwanted contact which can put them at an event greater risk for mental health issues. In this most recent study they discovered that Apps such as Facebook and Twitter appear to have the biggest issues with bullying online. Being exposed to negative comments and interactions can affect the self-esteem of young people who use social media regularly and depend on these types of platforms to socialize with their peers. Although Instagram scored well for enabling self-expression and self-identity, its impact on mental health overall was the worst of the five apps in the study. Following this recent study the Royal Society of Public Health was concerned about the negative effect that apps like Instagram have on young people who are struggling with anxiety and depression. They called on companies to do more to combat these effects and prevent social media from harming the quality of life of teens and young adults. Some of the RSPH’s ideas for minimizing the effects of social media included pop-up warning to notify people that they have been using the app for an extended period of time. They also believe photos should be labeled as being digitally-enhanced so that young people struggle less with body image issues. Although Instagram is already taking certain measures to ensure that the app is supportive for people with depression, it is uncertain whether they will follow these new recommendations. The RSPH believes that social media apps can eventually become tools to help communicate with young people about mental health issues that affect them.